Half Duplex Located In The Highly Sought After And Extremely Well Maintained âVineyardsâ Of Mount Dora. There Is A One Block Walkway To The Community Owned Lakefront Lot On Lake Dora. Association Maintenance Includes: Lawn Mowing, Trimming, Edging, Irrigation, Mulching And Exterior Pest Control. 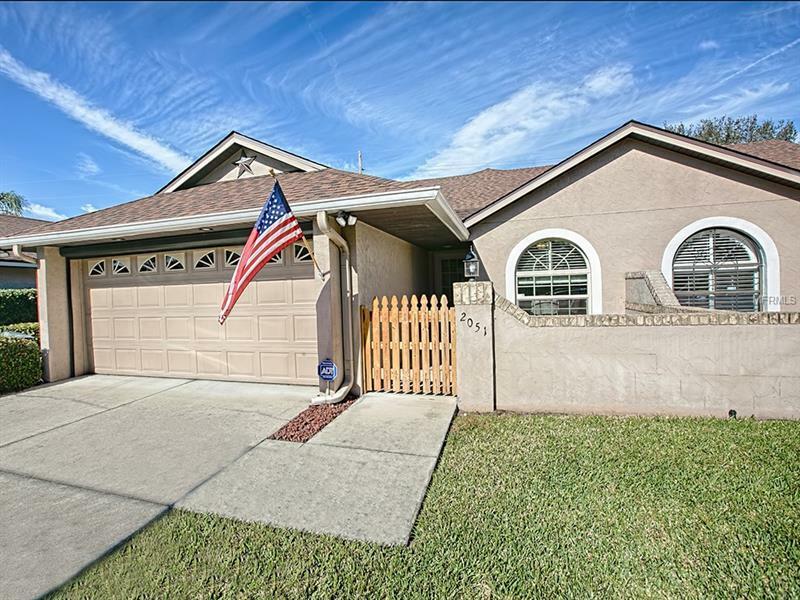 Enjoy Florida Living Close To Downtown Mount Doraâs Shopping And Restaurants. Lounge By Your Salt Water Swimming Pool, Or Relax In The Shade Of Your Large Lanai. The Master Bedroom Has A Large Walk-In Closet And The Master Bathroom Has Dual Sinks And A Walk In Shower. The Ceramic Tile Floored Kitchen Has A Dinette And A Breakfast Counter. The Oversize Two Car Garage Is Equipped With A Power Screen And Has A Workbench. Additional Water Information: The Vineyards HOA owns a lot on Lake Dora. Accessed by path.